Vibrowlash Medium Brown Color Cream - Certified Vegan and Cruelty-Free Lash & Brow Tint 0.67 fl. oz. - 20 mL. Dramatically enhance lashes and brows with vibrant ammonia-free color! 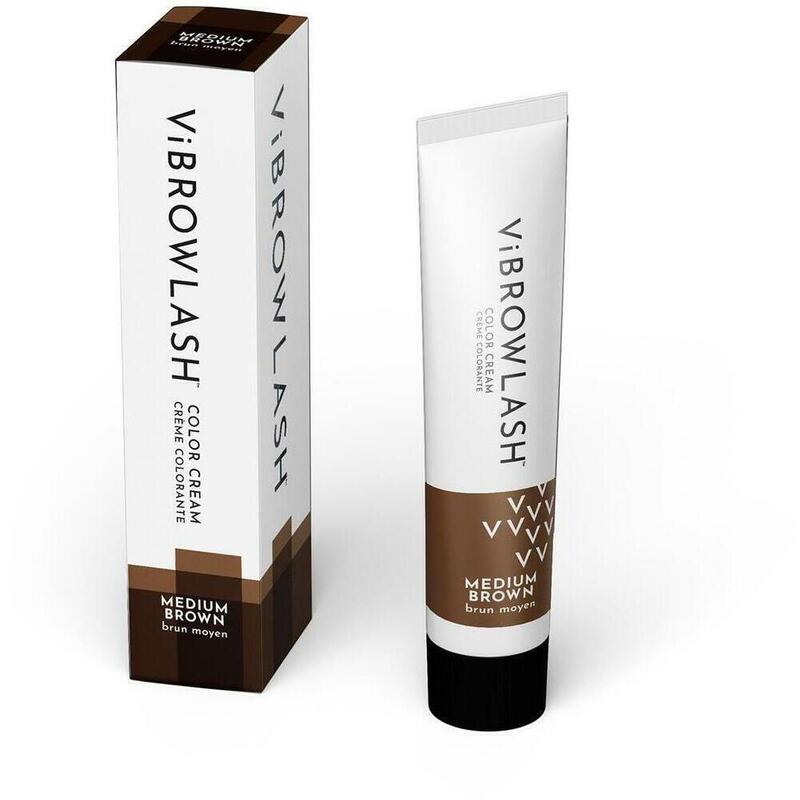 ViBrowLash Color Cream has a thick, rich formula that’s low odor and easy to apply. For professional use only. Made in the USA. Ammonia-free ViBrowLash is a great option for clients who prefer a gentler, low odor color cream. Its vibrant color lasts for 3 weeks, and it contains no nut oils, lanolin, or gluten. Plus it’s certified vegan and cruelty-free! Vegan Awareness certified. Leaping Bunny certified. Medium Brown is a neutral medium brown shade with shine. Neutral, medium brown shade with shine.